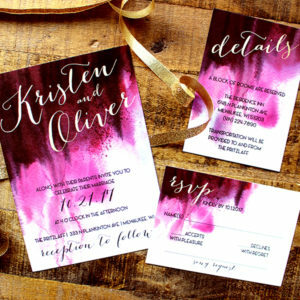 This is a beautifully crafted hand painted watercolor wedding suite. 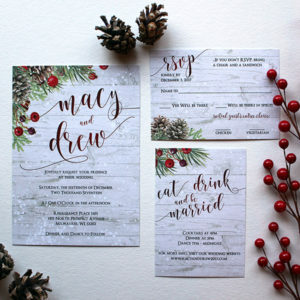 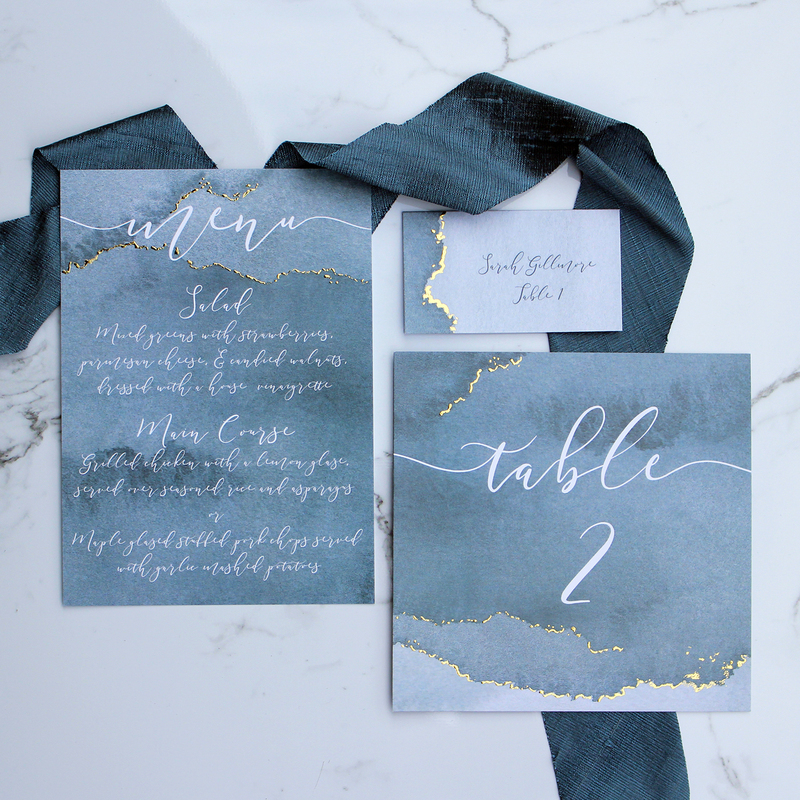 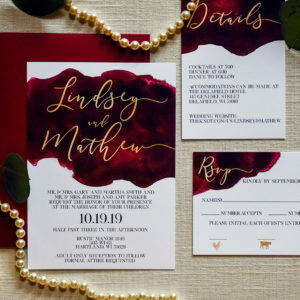 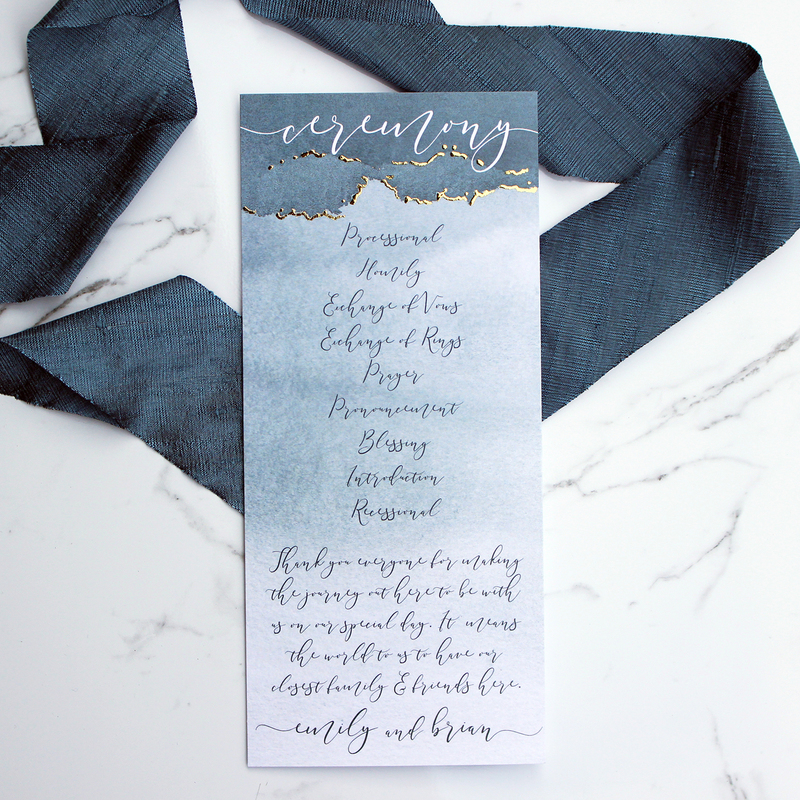 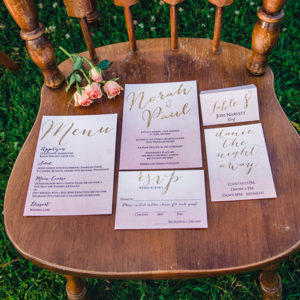 The theme is carried out by a whimsical calligraphy font. 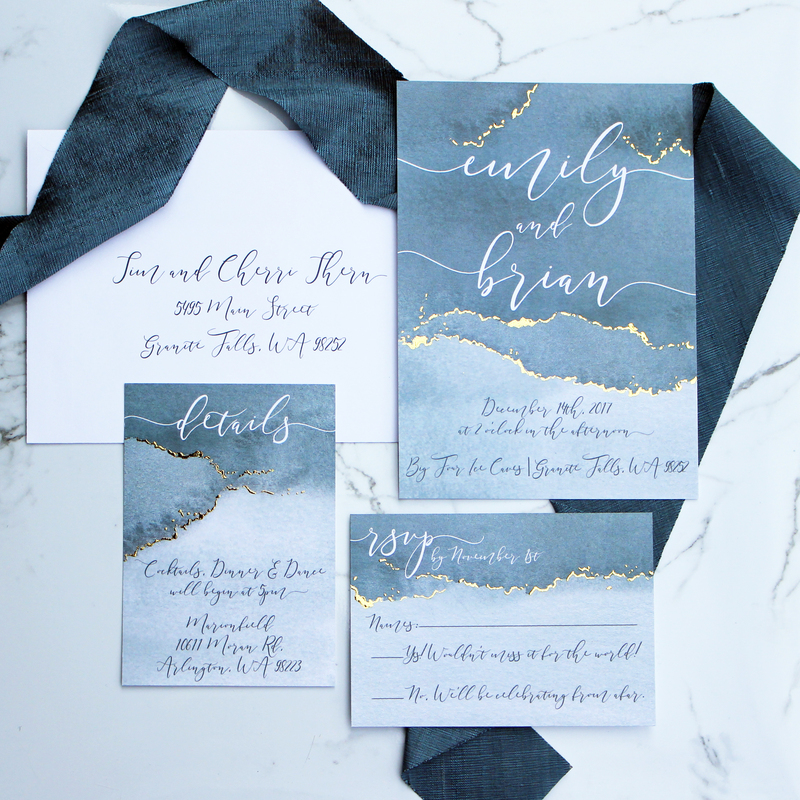 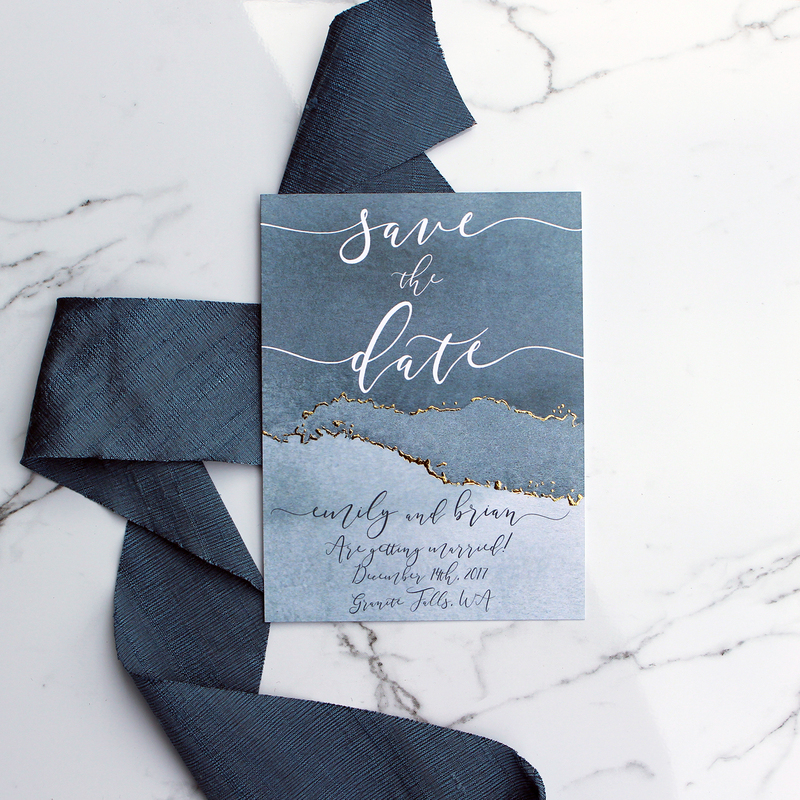 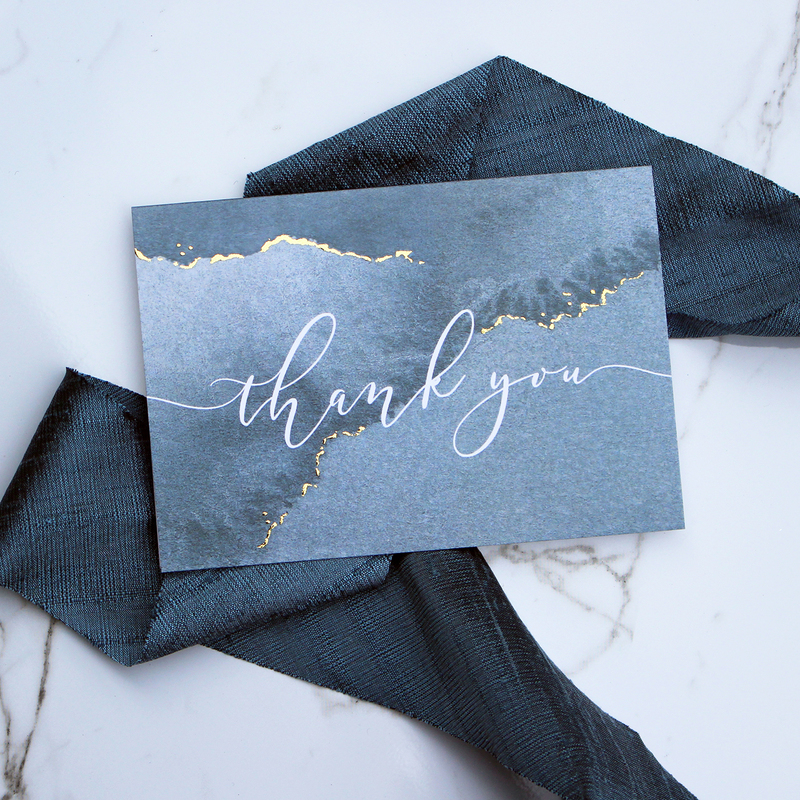 This sample is shown with hand foiled gold detail.